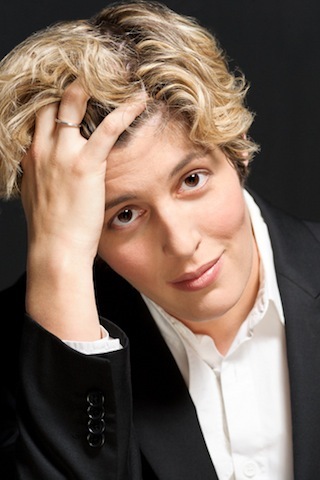 A great piece in the NYTimes, Monday, October 29th, about Sally Kohn, the progressive analyst on Fox News. Sally is one of ours: a graduate of the Progressive Women’s Voices training program at The Women’s Media Center. When we began our intensive media leadership program in 2009, this is exactly what we had in mind: delivering a cadre of women who could effectively advance the progressive, feminist, activist point of view. To date we have added over 130 women–and now a class of girls–to the important conversations of our time. More about Progressive Women’s Voices on our website, www.womensmediacenter.com. Congratulations to Sally, and all of the other terrific women of our program who do such a great job articulating the cause of women everywhere. Sally Kohn, a former community organizer, is winning attention for her political commentary on the Fox News Channel.